Supported by the MIT App Inventor team and Google Education, Deerfield Community School in Deerfield, NH launched a successful two-week pilot program in teacher Ellen O’Donnell’s seventh grade science class in June 2014. The pilot had several goals. Ms. O’Donnell and the school’s Technology Coordinator, Debbie Boisvert, thought this would be a motivational project for students at the end of the school year. They also wanted to develop and hone STEM (Science, Technology, Engineering, and Mathematics) curricular materials to support the students and explore the possibility of making this an annual seventh grade project. Google Education was interested in how the students reacted to the technology, how it engaged them, and how it supported their curricular learning. From the moment Ms. Boisvert told the students about the project, they were excited. The 15 students had just completed a unit about water – the water cycle, river and ocean ecology, water contamination and clean up, and more. With that content fresh in their minds, pairs of students selected a topic related to water. Each pair was to design an app related to the water science they’d just studied that was educational, creative, and functional. Using the school’s Chromebooks and Nexus 7 tablets, the students were remarkably engaged during class. Ms. O’Donnell commented that she was impressed by their level of focus. Students actively helped other groups and put in extra time at lunch and at home to develop their apps. Word spread quickly, and students and teachers from other classes and grades stopped by to check out what Ms. O’Donnell’s students were doing. At the end of two weeks, the students had built a number of apps related to water. Most of these apps were games, and the students customized them by adding their own music, drawings, and pixel art. The students were so interested in app building that Ms. Boisvert has decided to host summer workshops to give students the opportunity to work on and share their apps. Take a look at the great apps these students developed! What You Do: Evil contractors who are contaminating the water supply pop up on the screen. 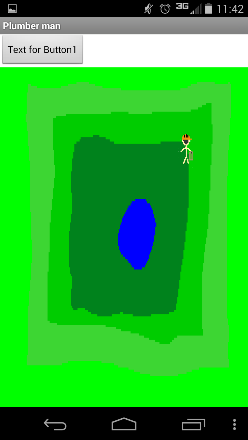 The user has to fling them off the screen before the reach the center and dump their waste. 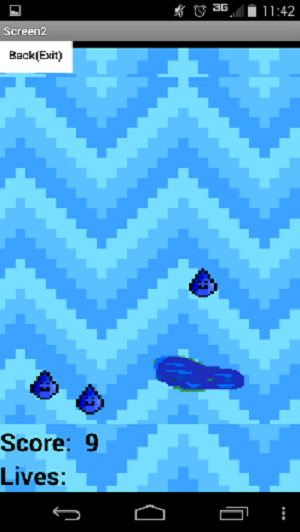 What You Do: Raindrops fall from the sky and the user slides a pond, cloud, hippo, and flower to collect the rain and score points. 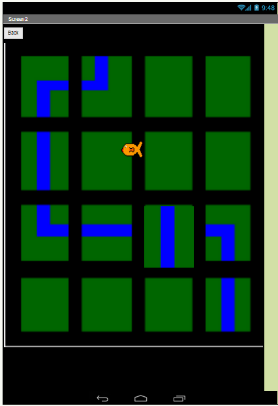 What You Do: Users must rotate the different squares of river to help the fishy reach the other side. 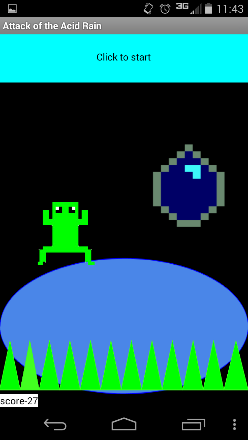 What You Do: The user must slide the frog back and forth to avoid acid rain, or they will lose points. 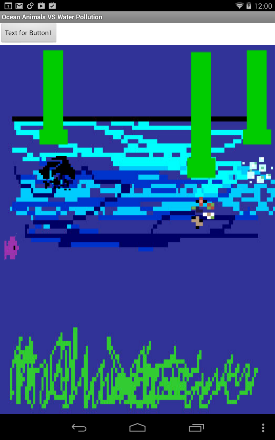 What You Do: The user must navigate the fish through obstacles on the screen. 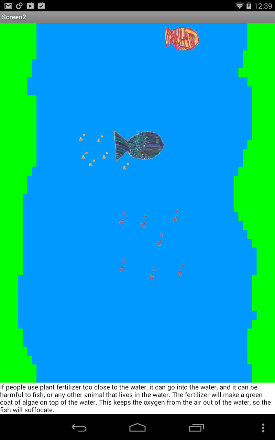 If the fish hits an obstacle (e.g., fertilizer), an information bubble pops up to explain why this is bad. 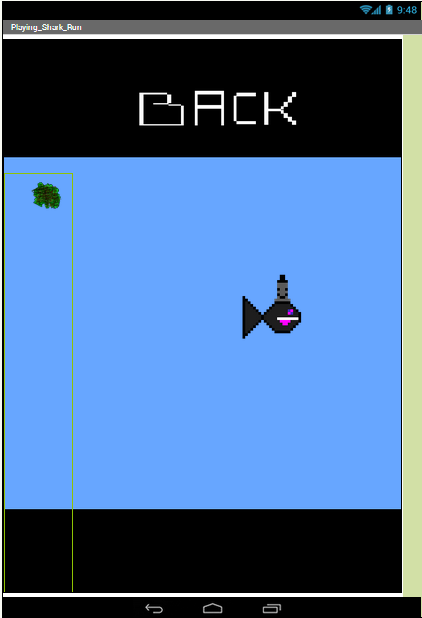 What You Do: The user must help the fish swim through pipes while avoiding oil spills. What You Do: The user must answer questions about water correctly or a shark will get closer and closer to the fish until it eats it!